Price reduced- Outstanding size and value! 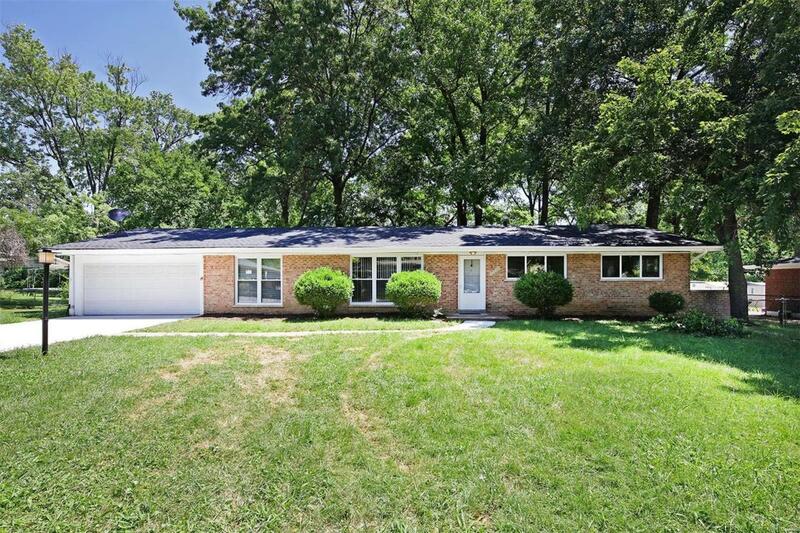 Professionally remodeled four bedroom, three bath ranch on level wooded site in Ladue Schools with approximately 2,550 square feet of living space on two levels, complete with the Home Protection Plan. Updated kitchen and baths, new roof and windows, new air conditioner, new concrete driveway, wood floors, and main level laundry. Finished lower level includes 25' x 25' rec room, 18' x 10' playroom, 11' x 9' den/office and third bathroom with shower, plus 10' x 9' closet with built-ins and separate 5' x 3' cedar closet. Convenient to highways, airport, and Clayton! One level living with broad appeal to buyers of all ages- Welcome home!